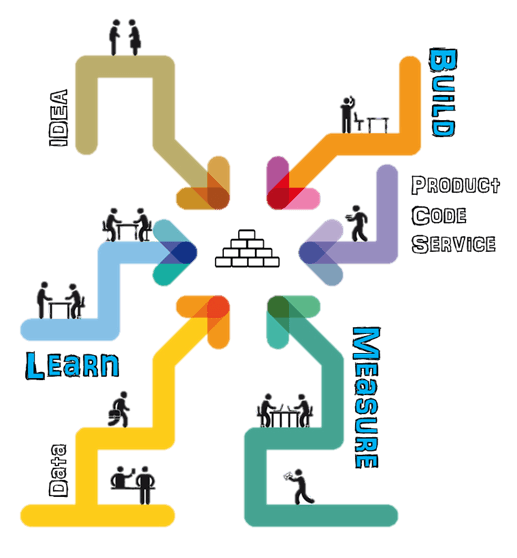 The birth of lean startup as a systematic approach to creating, developing, and managing business and products has emerged as a significant force in business innovation and product development. As a new and epic approach to product development, the lean method covers everything that is needed to grow from being able to grow a business with a maximum acceleration – how to handle the ins and outs of the operations, when to do some iteration on your model, and when to push through. By using the lean startup tools, the possibility of failure is diminished even in the early stage. What sets lean startups or simply the lean method apart from traditional method of embarking into a new business venture is that it employs experimentation more than elaborate planning, gives premium to feedback more than instinct, favors flexible and emergent designs over the traditional big design up fronts. Compared to large companies, lean startups enable to look for the appropriate business model instead of merely executing one. The lean method’s guiding principle is that “we are never smarter than the collective intelligence of customers”; thus, the need to go more than executing a plan. There is a need to get outside and learn from customers outside the office because no one would if a product or a business plan is right or wrong until the customers’ feedback is taken. The lean startup method involves three components – business model design, customer development, and agile engineering. These mechanisms make startups extremely effective, as they lessen the amount of time to build products and launch them. Use the business model canvas promulgated by Alexander Osterwalder, a 9-box scheme to guide entrepreneurs to create hypotheses in their current business setup. The factors included in the model canvass are the following: who are the customers, what is your value proposition for these customers, what are the demands for this value, what channel should you use to reach these customers, who could be tapped as partners, what activities should you undertake, what are the resources you need, what are the costs, and how to generate profits. Prepare this model canvas and use it as a framework and a scorecard to test your hypotheses. As soon as everything is set up, it is an imperative to get out of the office and test the business’ key ideas and key features. This is based on the premise that what you really have on day one is a string of unproven hypotheses. Rather than sticking to the big business plan, recognize that there is a need to get the product out there as quickly and rapidly as possible and test all the hypotheses. Customer development is the component of lean method where you turn all the hypotheses into facts. To do this, you must design an experiment, run it, and get consumers’ insight. Experimentation and gathering feedback from customers could be done by showing customers clay models, prototypes, samples, or even mockups of your product. The data gathered should be used to make adjustments. Don’t forget that most plans do not survive initial contact with clients. Either there is a need for substantive change in one or more of your business model components or it may be necessary to make minor changes. Either way, the process allows entrepreneurs to quickly iterate and develop the product at certain stages. Experimentation must be done incrementally in order to make sure that the business is on the right track. Another component of the lean method is called agile engineering. This component recognizes the fact that if a project is built all at once before the full implementation, chances are most of its features are unnecessary and not what the customers really wanted. Agile engineering refers to developing the product incrementally and iteratively using customer feedback. These three components of lean method are tools to search and create a product or a business model that is most appropriate for your new business venture. The components enable entrepreneurs to find out quickly if there’s a need to iterate or pivot. While these do not guarantee success (nothing can guarantee that), these could decrease market risks and the failure rate. The lean method, more importantly could elude the requisite for large aggregates of the usual preliminary development funding and costly product launches and losses from failures.